Posted by admin in natural hazards. How does the insurance industry view volcanoes? As a big risk, naturally. 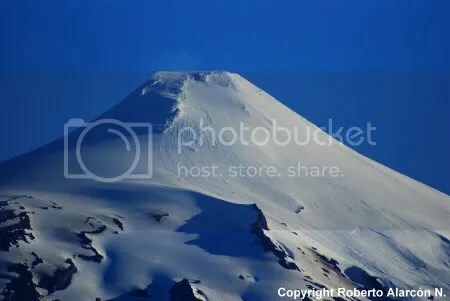 Most volcanoes do little damage, but when volcanic damage to life and property does occur it can be extensive and long-lasting (deposits from the 1980 eruption of Mount St Helen’s, for example, are still causing problems thirty years later). How does one insure property built on or near active volcanoes (e.g. Hawaii)? Is it possible to insure against the harmful effects of volcanic emissions (e.g. Turrialba)? Can insurance offer peace of mind to the farmer fearing a scoria cone may appear in his back yard (e.g. Paricutin, or even Ballarat)? And what will be the effects upon the insurance business of a major urban centre being significantly damaged or destroyed by a volcanic eruption (e.g. Naples, Seattle and many others)? Lloyds of London have been pondering these issues, as you might expect; and so has the insurance-industry-funded Aon Benfield UCL Hazard Research Centre. Among the conclusions reached is that while most natural disasters are usually defined by insurers as lasting no more than 72 hours, volcanic eruptions can be considered for insurance purposes as lasting up to 672 hours. Find out more by reading ‘Bubbling under – disasters waiting to happen’ at the Lloyds of London website. To promote the expansion of the newly emerging field of volcanic health hazard research. To continue existing collaborations and develop new collaborative links between the multidisciplinary international partner organizations. To produce and widely disseminate protocols and volcanic health hazard information to volcano observatories, scientists, governments, emergency managers, health practitioners and the general public. To encourage collection of geologic and medical data to evaluate health hazards. The formation of databases of well-characterized ash and gas samples and literature from volcanoes world-wide, for use by the Network and other workers. The IVHHN website has just been re-launched, and offers easy access to information and resources about the Network, including two invaluable new pamphlets available in a range of languages: The Health Hazards of Volcanic Ash: A Guide for the Public, and Guidelines on Preparedness Before, During and After an Ashfall. For more information visit the new IVHHN website: International Volcanic Health Hazard Network. Posted by admin in El Misti, natural hazards, Peru. El Misti in southern Peru, a 5822-metre stratovolcano, has an active eruptive history and last erupted in 1985. The volcano overlooks the city of Arequipa, which has a population of 1.2 million people. El Misti’s recent activity has been on a relatively small scale (no eruption larger than VEI=1 since the fifteenth century) but it poses a potential danger to thousands of people — about 2000 years ago a pyroclastic flow from the volcano travelled some 12 km, and winds have spread ash as far as 20 km from the cone. 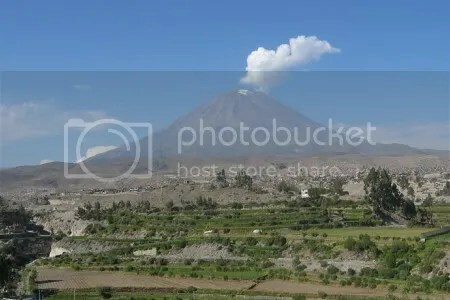 In July 2001 a NASA commentary noted that the local civil defence and planning authorities regard the volcano as a ‘remote danger’ and that the city of Arequipa is continuing to expand towards the volcano. 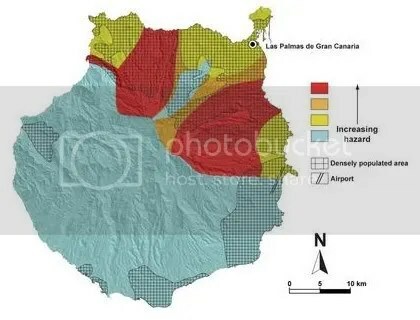 It seems, however, that some of the Peruvian authorities are now aware of the dangers: Peru.com reports that an exercise has just been held to simulate the evacuation of nearby districts in the event of an eruption. The exercise was organized by Peru’s Instituto Geológico, Minero y Metalúrgico (INGEMMET) with the local authorities in Arequipa and neighbouring areas and the Peruvian Army. Sirens sounded, trucks carried evacuees to shelters, procedures for providing tents, warm clothing, blankets and food were tested. The practice evacuation involved only 150 people, but the aim was to ‘sensitize’ the local population about the dangers of an eruption and the importance of being prepared.